My buying account got banned because they said I was linked to a banned buying account so will my seller account get banned too? Re: Buying account banned, does my seller account too? ****. So how should I buy and sell on Amazon? Buy using a proxy? 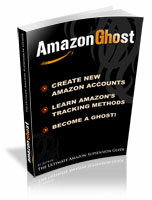 You have the Amazon Ghost from what I can see.... why not use the guide and make a new account? Amazon Ghost hasn't been updated since like 1999. I didn't even read it lol. I also do not recommend it. How can you not recommend it if you haven't read it?? 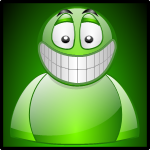 The guide gives you the basic fundamentals and understanding of setting up an account. they're referring to the fact that whilst they've purchased them, they have said earlier in the thread that they've never read them so theyre hardly in a position to not recommend them to others. I skimmed through it. It's a waste of money in my opinion and it's outdated for like 20 years. Some of the stuff on there is unnecessary. Honestly I felt scammed, it's soooo outdated. Didn't see that but alright.